OVERVIEW: In the state of Washington we are committed to engaging K-12 students in learning about climate science and climate change. For the 2018-19 school year our state has funded an initiative that will provide tools and professional development to support thoughtful implementation of climate science learning opportunities. I’m hoping that this space will be able to promote many of the resources that are developed and used during this process. One resource that has bubbled to the top for me is Drawdown.org. Drawdown provides 100 everyday solutions that humans can implement to reverse global climate change. I know several teachers who worry that the teaching of climate change- especially with younger students- can be scary for the children. Draw Down (while not sugar-coating anything) is very solution-oriented and can put students in a positive space rather than doom and gloom. PURPOSE: The proposed solutions on Drawdown are completely research-based and include some intuitive solutions that you might have predicted (rooftop solar) and others that might seem less intuitive (educating girls & telepresence). The book Drawdown is also a “must-have” climate resource to add to your collection. Lesson 1: What evidence is there to show there is a rise in global temperatures? Lesson 2: What factors have caused the rise in global temperature over the last century? PURPOSE: Next Generation Climate provides a resource that some middle school teachers and systems might find helpful. Minute Physics has a video that provides a clear explanation for Why the Full Moon is Better in the Winter. This clip could be used with students by asking them about their initial explanations for why the full moon might be “better” in the winter. Students could share ideas and then watch the video as a source of evidence to modify their explanations. A brief, clear, and well-designed video that explains a Harvest Moon. PS we have a Harvest Moon coming up soon. Enjoy. See embedded video below or click HERE. The Next Generation Science Standards contain a strong K-12 focus on climate science and this focus may be missing in some of our instructional materials. Planet Nutshell contains several short well produced educational video clips and they have a series of 11 videos on climate science. See What is Climate? embedded below. These could provide a useful supplement. 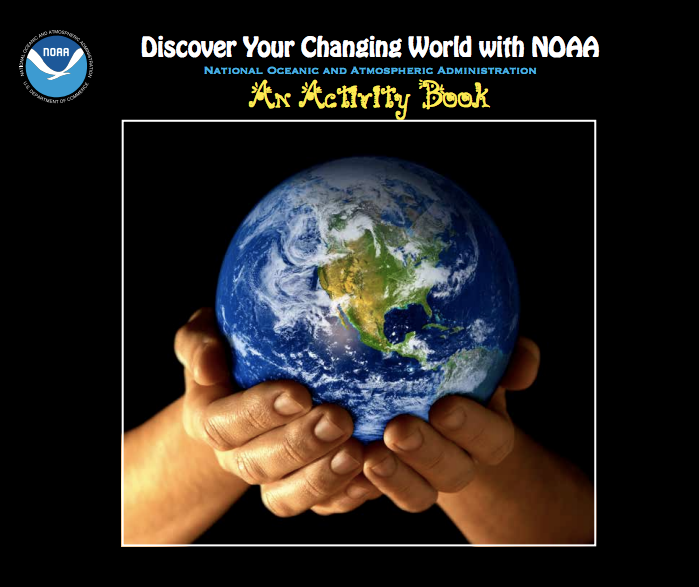 National Oceanic and Atmospheric Administration (NOAA) has a FREE middle school unit on the essential principles of climate science titled: Discover Your Changing World. Click HERE to download the entire PDF or individual activities. These materials could be useful in helping to meet some of the weather/climate related expectations in the NGSS. The resource was recently revised but does not contain direct correlations to the NGSS or the Framework for K-12 Science Education but I’m assuming that NOAA is working on this…? Also, see Chris Ohana’s brief critique of the materials in the comment section. If you are a middle school science teacher or a science curriculum specialist- please leave your thoughts in the comments- Does this look like a useful supplemental resource? Why/why not? How might you use this?